Last night we spent a heart pounding evening of family fun watching monster trucks tear up the Spokane Arena. 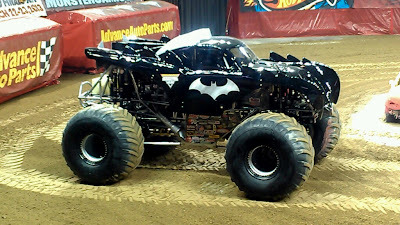 Monster Jam is in town, along with a few fan favorites: Grave Digger, Team Hot Wheels and Batman! My kids are 9 and 12, and they couldn't wait for the show to begin. 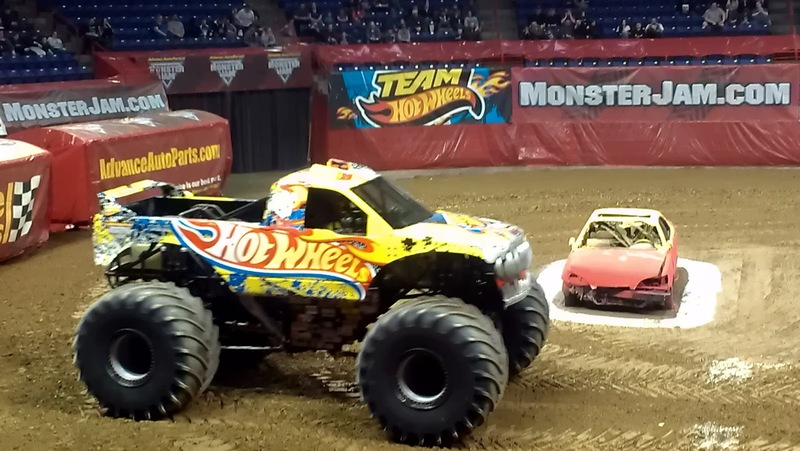 When the first monster truck fired up its engine and roared around the Arena, their faces lit up with excitement and their hearts were pounding from the force... literally! The roar of the crowd, the feel of your seat rumbling, your heart pounding as the trucks roared past... everything about Monster Jam screams fun and excitement! 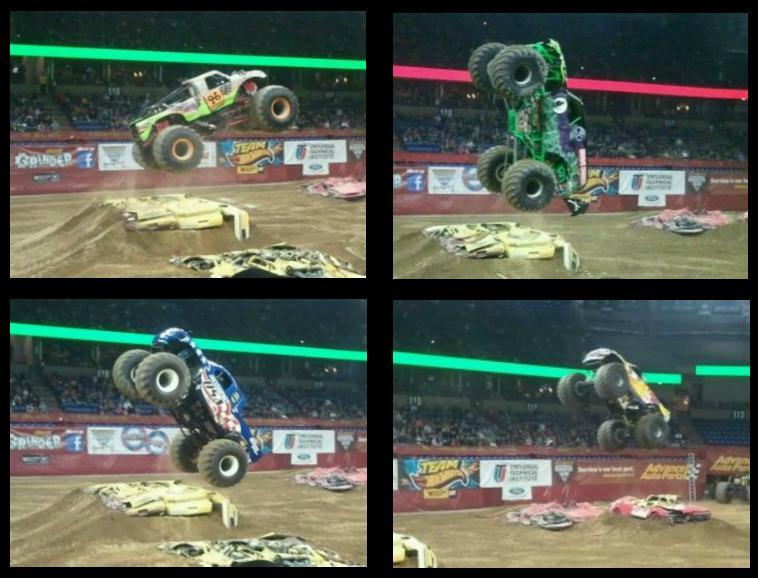 We couldn't believe how much "AIR" these big monster trucks were getting as they jumped over the smashed cars! 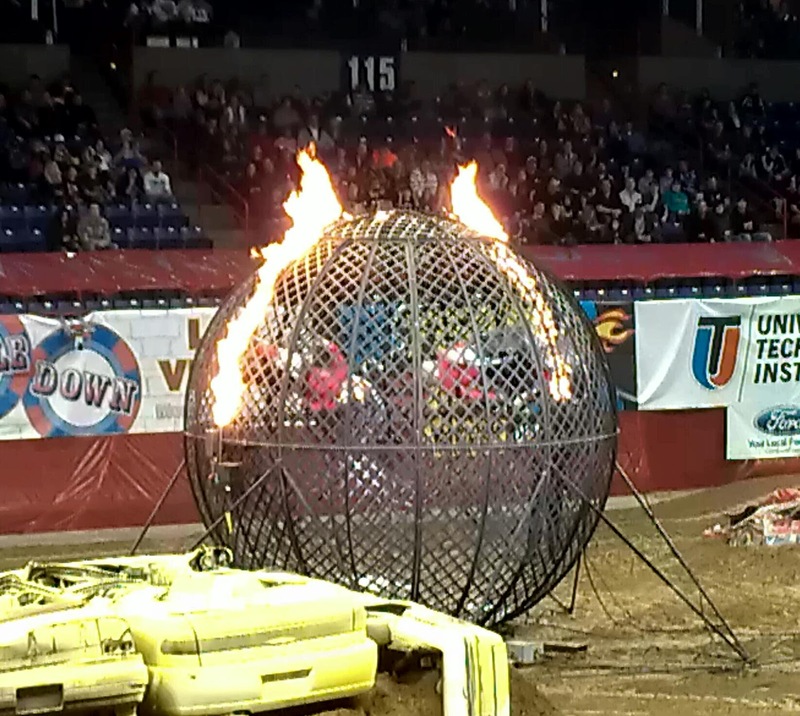 Of course, there was more exciting action to put you on the edge of your seat... quad races and the Sphere of Fear! It's not too late to see the show this weekend at the Spokane Arena, check out the remaining Monster Jam show times and prices and get your tickets today! Another exciting aspect of the show (not Monster Jam related) was that I actually got to see/meet two fellow area bloggers, Hanan from Lilac City Momma and Tammilee from Tammilee Tips, we all just happened to be in the same section! 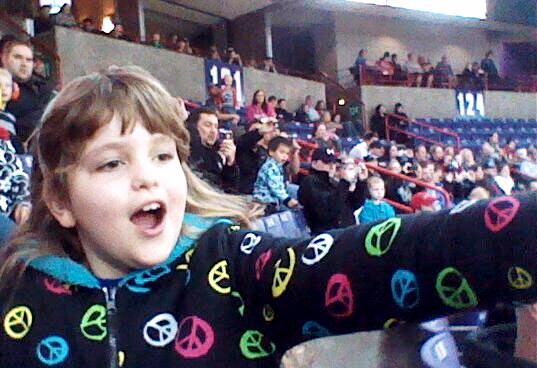 Hanan and her family were actually sitting right behind us! And I must add that Hanan's little girls are even more adorable in person than they are in photos! Do you have a favorite Monster Truck? 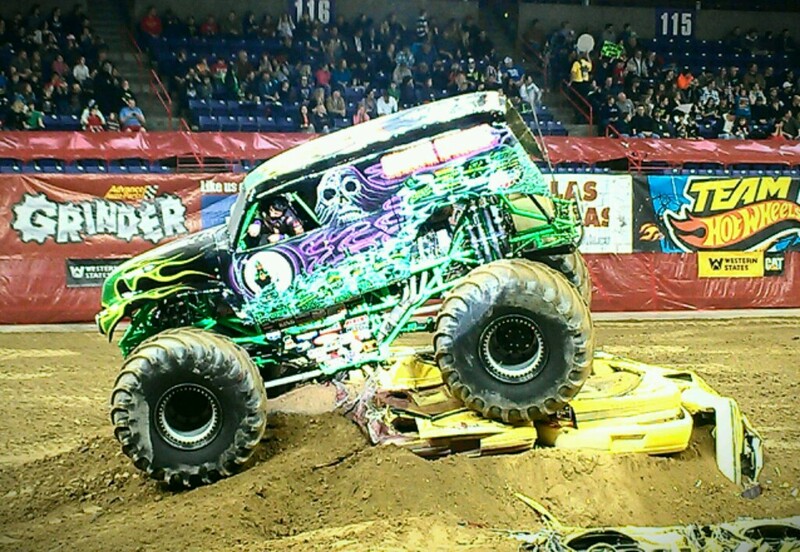 Will you be going to a Monster Jam show this year? 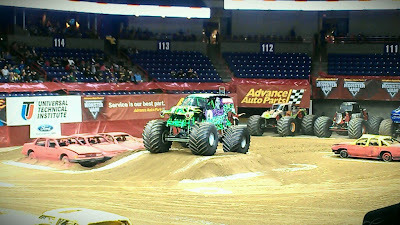 Love those Monster trucks! Haven't gone for years but want to! Haha, I was just going to ask if you saw Hanan. Looks like you had such a fun time! 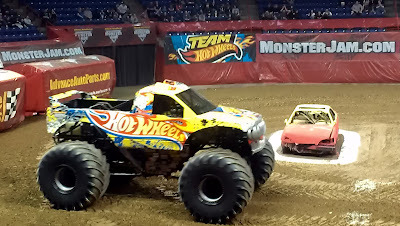 My son keeps asking about seeing a monster truck show, looks amazing! I showed home the photos And he went nuts! I think I just might have to attend next time it comes by me. 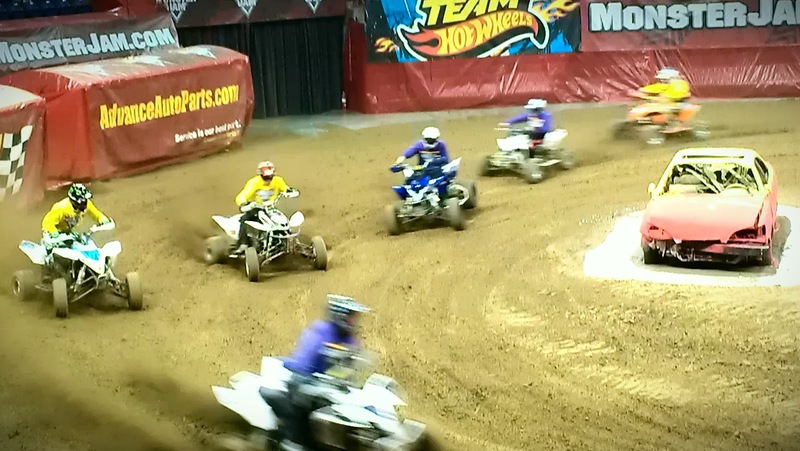 Looks like such a fun time! Ok WHAT???? Those things REALLY get up in the air. Freaky but fun! Those pictures are amazing! 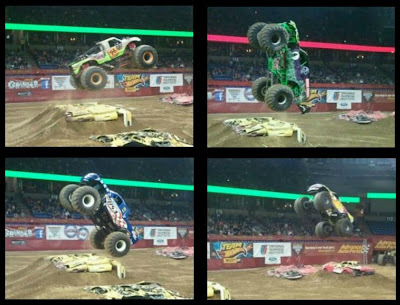 I can't imagine driving those trucks, that one is straight up in the air! It had to be incredible to see this. I'll have to see when it is coming to Cleveland, my son and nephew would love to see it. Looks like you had a great time!! 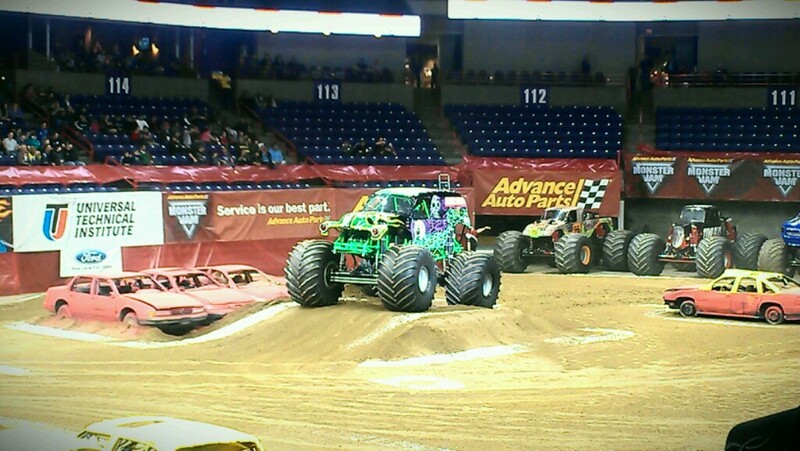 Havent been to a monster truck show in years. Looks like a fun time for everyone! A New Stage in my Weight Loss Journey has Begun! You're Never Too Young to Exercise & Workout! Simple Changes for A Better You! Valentines Day Gift Ideas from the Heart! My Son Has a Secret Admirer for Valentine's Day! Get Moving: Go to Curves for a FREE Consult!